The Sun could never be seen by it. The controversy continues. 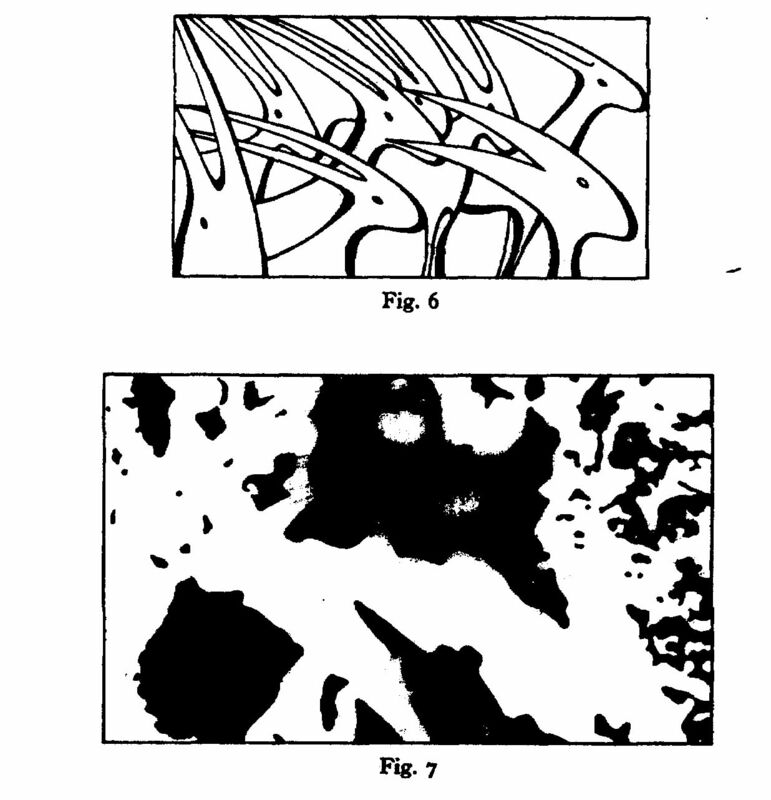 It involves the whole theory of microscopical technique; nor is it an obviously experimental issue. Yet it affects what scientists say they see. Perhaps there is a sense in which two such observers do not see the same thing, do not begin from the same data, though their eyesight is normal and they are visually aware of the same object. Imagine these two observing a Protozoon  Amoeba. One sees a one-celled animal, the other a non-celled animal. The first sees Amoeba in all its analogies with different types of single cells: liver cells, nerve cells, epithelium cells. These have a wall, nucleus, cytoplasm, etc. Within this class Amoeba is distinguished only by its independence. The other, however, sees Amoeba's homology not with single cells, but with whole animals. Like all animals Amoeba ingests its food, digests and assimilates it. It excretes, reproduces and is mobile  more like a complete animal than an individual tissue cell. This is not an experimental issue, yet it can affect experiment. What either man regards as significant questions or relevant data can be determined by whether he stresses the first or the last term in 'unicellular animal'. Some philosophers have a formula ready for such situations: 'Of course they see the same thing. They make the same observation since they begin from the same visual data. But they interpret what they see differently. They construe the evidence in different ways.' The task is then to show how these data are moulded by different theories or interpretations or intellectual constructions. These biological examples are too complex. Let us consider Johannes Kepler: imagine him on a hill watching the dawn. With him is Tycho Brahe. Kepler regarded the sun as fixed: it was the earth that moved. But Tycho followed Ptolemy and Aristotle in this much at least: the earth was fixed and all other celestial bodies moved around it. Do Kepler and Tycho see the same thing in the east at dawn? We might think this an experimental or observational question, unlike the questions 'Are there Golgi bodies?' and 'Are Protozoa one-celled or non-celled?'. Not so in the sixteenth and seventeenth centuries. Thus Galileo said to the Ptolemaist '... neither Aristotle nor you can prove that the earth is de facto the centre of the universe..'. 'Do Kepler and Tycho see the same thing in the east at dawn?' is perhaps not a de facto question either, but rather the beginning of an examination of the concepts of seeing and observation. That this is possible suggests that there may be reasons for both contentions. Let us consider some points in support of the affirmative answer. The physical processes involved when Kepler and Tycho watch the dawn are worth noting. Identical photons are emitted from the sun; these traverse solar space, and our atmosphere. The two astronomers have normal vision; hence these photons pass through the cornea, aqueous humour, iris, lens and vitreous body of their eyes in the same way. Finally their retinas are affected. Similar electro-chemical changes occur in their selenium cells. The same configuration is etched on Kepler's retina as on Tycho's. So they see the same thing. Locke sometimes spoke of seeing in this way: a man sees the sun if his is a normally-formed retinal picture of the sun. Dr Sir W. Russell Brain speaks of our retinal sensations as indicators and signals. Everything taking place behind the retina is, as he says, 'an intellectual operation based largely on non-visual experience...'. What we see are the changes in the tunica retina. Dr Ida Mann regards the macula of the eye as itself 'seeing details in bright light', and the rods as 'seeing approaching motor-cars'. Dr Agnes Arber speaks of the eye as itself seeing. Often, talk of seeing can direct attention to the retina. Normal people are distinguished from those for whom no retinal pictures can form: we may say of the former that they can see whilst the latter cannot see. Reporting when a certain red dot can be seen may supply the occulist with direct information about the condition of one's retina. This need not be pursued, however. These writers speak carelessly: seeing the sun is not seeing retinal pictures of the sun. The retinal images which Kepler and Tycho have are four in number, inverted and quite tiny. Astronomers cannot be referring to these when they say they see the sun. If they are hypnotized, drugged, drunk or distracted they may not see the sun, even though their retinas register its image in exactly the same way as usual. Seeing is an experience. A retinal reaction is only a physical state  a photochemical excitation. Physiologists have not always appreciated the differences between experiences and physical states. People, not their eyes, see. Cameras, and eye-balls, are blind. Attempts to locate within the organs of sight (or within the neurological reticulum behind the eyes) some nameable called 'seeing' may be dismissed. That Kepler and Tycho do, or do not, see the same thing cannot be supported by reference to the physical states of their retinas, optic nerves or visual cortices: there is more to seeing than meets the eyeball. Naturally, Tycho and Kepler see the same physical object. They are both visually aware of the sun. If they are put into a dark room and asked to report when they see something  anything at all  they may both report the same object at the same time. Suppose that the only object to be seen is a certain lead cylinder. Both men see the same thing: namely this object  whatever it is. It is just here, however, that the difficulty arises, for while Tycho sees a mere pipe, Kepler will see a telescope, the instrument about which Galileo has written to him. Unless both are visually aware of the same object there can be nothing of philosophical interest in the question whether or not they see the same thing. Unless they both see the sun in this prior sense our question cannot even strike a spark. Nonetheless, both Tycho and Kepler have a common visual experience of some sort. This experience perhaps constitutes their seeing the same thing. Indeed, this may be a seeing logically more basic than anything expressed in the pronouncement 'I see the sun' (where each means something different by 'sun'). If what they meant by the word 'sun' were the only clue, then Tycho and Kepler could not be seeing the same thing, even though they were gazing at the same object. If, however, we ask, not 'Do they see the same thing?' but rather 'What is it that they both see? ', an unambiguous answer may be forthcoming. Tycho and Kepler are both aware of a brilliant yellow-white disc in a blue expanse over a green one. Such a 'sense-datum' picture is single and uninverted. To be unaware of it is not to have it. Either it dominates one's visual attention completely or it does not exist. If Tycho and Kepler are aware of anything visual, it must be of some pattern of colours. What else could it be? We do not touch or hear with our eyes, we only take in light. This private pattern is the same for both observers. Surely if asked to sketch the contents of their visual fields they would both draw a kind of semi-circle on a horizon-line. They say they see the sun. But they do not see every side of the sun at once; so what they really see is discoid to begin with. It is but a visual aspect of the sun. In any single observation the sun is a brilliantly luminescent disc, a penny painted with radium. So something about their visual experiences at dawn is the same for both: a brilliant yellow-white disc centred between green and blue colour patches. Sketches of what they both see could be identical  congruent. In this sense Tycho and Kepler see the same thing at dawn. The sun appears to them in the same way. The same view, or scene, is presented to them both. In fact, we often speak in this way. Thus the account of a recent solar eclipse: 'Only a thin crescent remains; white light is now completely obscured; the sky appears a deep blue, almost purple, and the landscape is a monochromatic green... there are the flashes of light on the disc's circumference and now the brilliant crescent to the left....' Newton writes in a similar way in the Opticks: 'These Arcs at their first appearance were of a violet and blue Colour, and between them were white Arcs of Circles, which... became a little tinged in their inward Limbs with red and yellow....' Every physicist employs the language of lines, colour patches, appearances, shadows. In so far as two normal observers use this language of the same event, they begin from the same data: they are making the same observation. Differences between them must arise in the interpretations they put on these data. Thus, to summarize, saying that Kepler and Tycho see the same thing at dawn just because their eyes are similarly affected is an elementary mistake. There is a difference between a physical state and a visual experience. Suppose, however, that it is argued as above  that they see the same thing because they have the same sense-datum experience. Disparities in their accounts arise in ex post facto interpretations of what is seen, not in the fundamental visual data. If this is argued, further difficulties soon obtrude. Normal retinas and cameras are impressed similarly by fig. 1. Our visual sense-data will be the same too. If asked to draw what we see, most of us will set out a configuration like fig. 1. Do we all see the same thing? Some will see a perspex cube viewed from below. Others will see it from above. Still others will see it as a kind of polygonally-cut gem. Some people see only criss-crossed lines in a plane. It may be seen as a block of ice, an aquarium, a wire frame for a kite  or any of a number of other things. Do we, then, all see the same thing? If we do, how can these differences be accounted for? This sounds as if I do two things, not one, when I see boxes and bicycles. Do I put different interpretations on fig. 1 when I see it now as a box from below, and now as a cube from above? I am aware of no such thing. I mean no such thing when I report that the box's perspective has snapped back into the page. If I do not mean this, then the concept of seeing which is natural in this connexion does not designate two diaphanous components, one optical, the other interpretative. Fig. 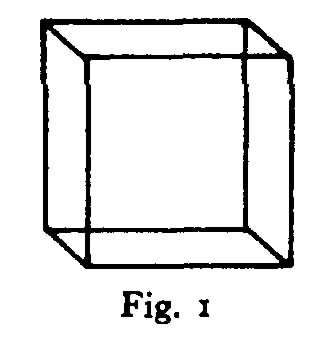 1 is simply seen now as a box from below, now as a cube from above; one does not first soak up an optical pattern and then clamp an interpretation on it. Kepler and Tycho just see the sun. That is all. That is the way the concept of seeing works in this connexion. Besides, the word 'interpretation' is occasionally useful. We know where it applies and where it does not. Thucydides presented the facts objectively; Herodotus put an interpretation on them. The word does not apply to everything  it has a meaning. Can interpreting always be going on when we see? Sometimes, perhaps, as when the hazy outline of an agricultural machine looms up on a foggy morning and, with effort, we finally identify it. Is this the 'interpretation' which is active when bicycles and boxes are clearly seen? Is it active when the perspective of fig. 1 snaps into reverse? There was a time when Herodotus was half-through with his interpretation of the Graeco-Persian wars. Could there be a time when one is half-through interpreting fig. 1 as a box from above, or as anything else? 'But the interpretation takes very little time  it is instantaneous.' Instantaneous interpretation hails from the Limbo that produced unsensed sensibilia, unconscious inference, incorrigible statements, negative facts and Objektive. These are ideas which philosophers force on the world to preserve some pet epistemological or metaphysical theory. Only in contrast to 'Eureka' situations (like perspective reversals, where one cannot interpret the data) is it clear what is meant by saying that though Thucydides could have put an interpretation on history, he did not. Moreover, whether or not an historian is advancing an interpretation is an empirical question: we know what would count as evidence one way or the other. But whether we are employing an interpretation when we see fig. 1 in a certain way is not empirical. What could count as evidence? In no ordinary sense of 'interpret' do I interpret fig. 1 differently when its perspective reverses for me. If there is some extraordinary sense of word it is not clear, either in ordinary language, or in extraordinary (philosophical) language. To insist that different reactions to fig. 1 must lie in the interpretations put on a common visual experience is just to reiterate (without reasons) that the seeing of x must be the same for all observers looking at x. Consider now the reversible perspective figures which appear in textbooks on Gestalt psychology: the tea-tray, the shifting (Schröder) staircase, the tunnel. Each of these can be seen as concave, convex, or as a flat drawing. Do I really see something different each time, or do I only interpret what I see in a different way? To interpret is to think, to do something; seeing is an experiential state. 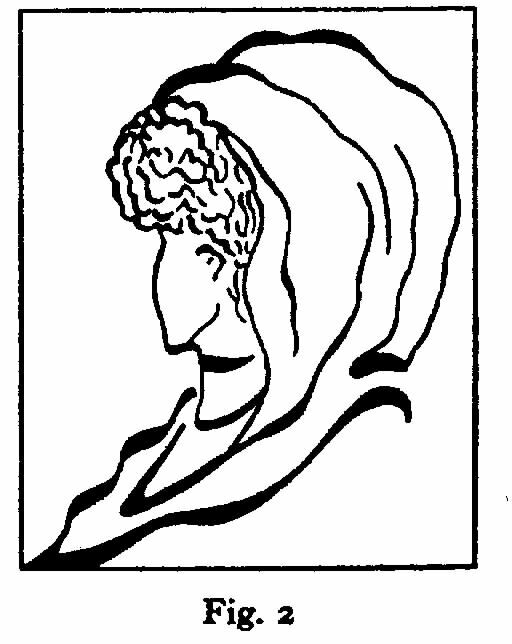 The different ways in which these figures are seen are not due to different thoughts lying behind the visual reactions. What could 'spontaneous' mean if these reactions are not spontaneous? When the staircase 'goes into reverse' it does so spontaneously. One does not think of anything special; one does not think at all. Nor does one interpret. One just sees, now a staircase as from above, now a staircase as from below. The sun, however, is not an entity with such variable perspective. What has all this to do with suggesting that Tycho and Kepler may see different things in the east at dawn? Certainly the cases are different. But these reversible perspective figures are examples of different things being seen in the same configuration, where this difference is due neither to differing visual pictures, nor to any 'interpretation' superimposed on the sensation. When what is observed is characterized so differently as 'young woman or 'old woman', is it not natural to say that the observers see different things? Or must 'see different things' mean only 'see different objects'? This is a primary sense of the expression, to be sure. But is there not also a sense in which one who cannot see the young lady in fig. 2 sees something different from me, who sees the young lady? Of course there is. I draw my goblet. You say 'That's just what I saw, two men in a staring contest'. What steps must be taken to get you to see what I see? When attention shifts from the cup to the faces does one's visual picture change? How? What is it that changes? What could change? Nothing optical or sensational is modified. Yet one sees different things. The organization of what one sees changes. How does one describe the difference between the jeune fille and the vieille femme in fig. 2? Perhaps the difference is not describable: it may just show itself. That two observers have not seen the same things in fig. 2 could show itself in their behaviour. What is the difference between us when you see the zebra as black with white stripes and I see it as white with black stripes? Nothing optical. Yet there might be a context (for instance, in the genetics of animal pigmentation), where such a difference could be important. A third group of figures will stress further this organizational element of seeing and observing. They will hint at how much more is involved when Tycho and Kepler witness the dawn than 'the formula' suggests. What is portrayed in fig. 3? Your retinas and visual cortices are affected much as mine are; our sense-datum pictures would not differ. Surely we could all produce an accurate sketch of fig. 3. Do we see the same thing? I see a bear climbing up the other side of a tree. Did the elements 'pull together'/cohere/organize, when you learned this? You might even say with Wittgenstein 'it has not changed, and yet I see it differently...'. Now, does it not have '...a quite particular �organization�'? Organization is not itself seen as are the lines and colours of a drawing. It is not itself a line, shape, or a colour. It is not an element in the visual field, but rather the way in which elements are appreciated. Again, the plot is not another detail in the story. Nor is the tune just one more note. Yet without plots and tunes details and notes would not hang together. Similarly the organization of fig. 3 is nothing that registers on the retina along with other details. Yet it gives the lines and shapes a pattern. Were this lacking we would be left with nothing but an unintelligible configuration of lines. How do visual experiences become organized? How is seeing possible? The context gives us the clue. Here, some people could not see the figure as an antelope. Could people who had never seen an antelope, but only birds, see an antelope in fig. 4? In the context of fig. 6 the figure may indeed stand out as an antelope. It might even be urged that the figure seen in fig. 5 has no similarity to the one in fig. 6 although the two are congruent. Could anything be more opposed to a sense-datum account of seeing? The upper margin of the picture cuts the brow, thus the top of the head is not shown. The point of the jaw, clean shaven and brightly illuminated, is just above the geometric center of the picture. A white mantle ... covers the right shoulder. The right upper sleeve is exposed as the rather black area at the lower left. The hair and beard are after the manner of a late mediaeval representation of Christ. The appropriate aspect of the illustration is brought out by the verbal context in which it appears. It is not an illustration of anything determinate unless it appears in some such context. In the same way, I must talk and gesture around fig. 4 to get you to see the antelope when only the bird has revealed itself. I must provide a context. The context is part of the illustration itself. Such a context, however, need not be set out explicitly. Often it is 'built into' thinking, imagining and picturing. We are set to appreciate the visual aspect of things in certain ways. Elements in our experience do not cluster at random. A trained physicist could see one thing in fig. 8: an X-ray tube viewed from the cathode. Would Sir Lawrence Bragg and an Eskimo baby see the same thing when looking at an X-ray tube? Yes, and no. Yes  they are visually aware of the same object. No  the ways in which they are visually aware are profoundly diferent. Seeing is not only the having of a visual experience; it is also the way in which the visual experience is had. At school the physicist had gazed at this glass-and-metal instrument. Returning now, after years in University and research, his eye lights upon the same object once again. Does he see the same thing now as he did then? Now he sees the instrument in terms of electrical circuit theory, thermodynamic theory, the theories of metal and glass structure, thermionic emission, optical transmission, refraction, diffraction, atomic theory, quantum theory and special relativity. Contrast the freshman's view of college with that of his ancient tutor. Compare a man's first glance at the motor of his car with a similar glance ten exasperating years later. Is the physicist doing more than just seeing? No; he does nothing over and above what the layman does when he sees an X-ray tube. What are you doing over and above reading these words? Are you interpreting marks on a page? When would this ever be a natural way of speaking? Would an infant see what you see here, when you see words and sentences and he sees but marks and lines? One does nothing beyond looking and seeing when one dodges bicycles, glances at a friend, or notices a cat in the garden. 'The physicist and the layman see the same thing', it is objected, 'but they do not make the same thing of it.' The layman can make nothing of it. Nor is that just a figure of speech. I can make nothing of the Arab word for cat, though my purely visual impressions may be indistinguishable from those of the Arab who can. I must learn Arabic before I can see what he sees. The layman must learn physics before he can see what the physicist sees. If one must find a paradigm case of seeing it would be better to regard as such not the visual apprehension of colour patches but things like seeing what time it is, seeing what key a piece of music is written in, and seeing whether a wound is septic. 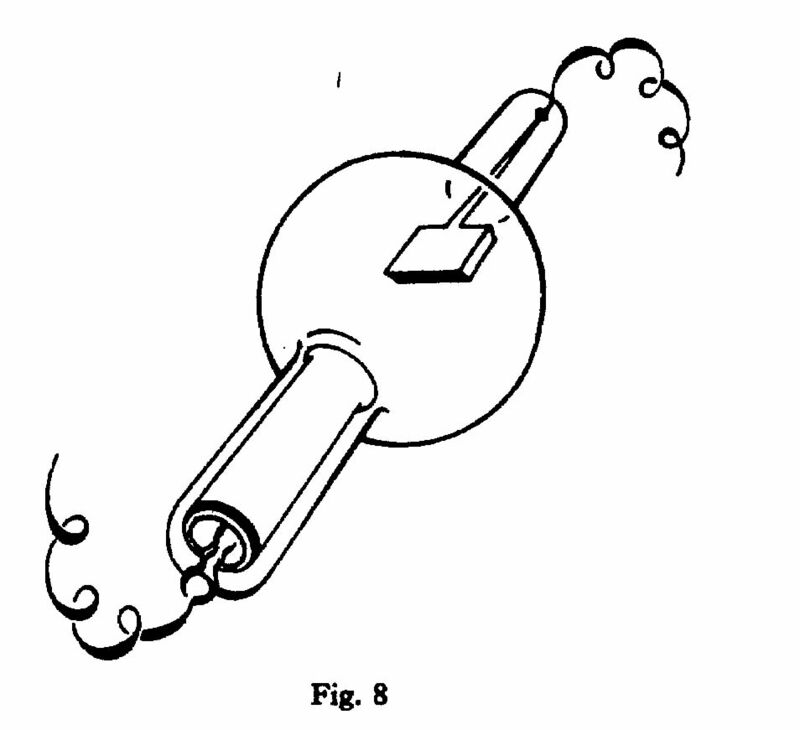 Enter a laboratory; approach the table crowded with an assortment of apparatus, an electric cell, silk-covered copper wire, small cups of mercury, spools, a mirror mounted on an iron bar; the experimenter is inserting into small openings the metal ends of ebony-headed pins; the iron oscillates, and the mirror attached to it throws a luminous band upon a celluloid scale; the forward-backward motion of this spot enables the physicist to observe the minute oscillations of the iron bar. But ask him what he is doing. Will he answer 'I am studying the oscillations of an iron bar which carries a mirror'? No, he will say that he is measuring the electric resistance of the spools. If you are astonished, if you ask him what his words mean, what relation they have with the phenomena he has been observing and which you have noted at the same time as he, he will answer that your question requires a long explanation and that you should take a course in electricity. The visitor must learn some physics before he can see what the physicist sees. Only then will the context throw into relief those features of the objects before him which the physicist sees as indicating resistance. This obtains in all seeing. Attention is rarely directed to the space between the leaves of a tree, save when a Keats brings it to our notice. (Consider also what was involved in Crusoe�s seeing a vacant space in the sand as a footprint.) Our attention most naturally rests on objects and events which dominate the visual field. What a blooming, buzzing, undifferentiated confusion visual life would be if we all arose tomorrow without attention capable of dwelling only on what had heretofore been overlooked. The infant and the layman can see: they are not blind. But they cannot see what the physicist sees; they are blind to what he sees. We may not hear that the oboe is out of tune, though this will be painfully obvious to the trained musician. (Who, incidentally, will not hear the tones and interpret them as being out of tune, but will simply hear the oboe to be out of tune. We simply see what time it is; the surgeon simply sees a wound to be septic; the physicist sees the X-ray tube�s anode overheating.) The elements of the visitor's visual field, though identical with those of the physicist, are not organized for him as for the physicist; the same lines, colours, shapes are apprehended by both, but not in the same way. There are indefinitely many ways in which a constellation of lines, shapes, patches, may be seen. Why a visual pattern is seen differently is a question for psychology, but that it may be seen differently is important in any examination of the concepts of seeing and observation. Here, as Wittgenstein might have said, the psychological is a symbol of the logical. You see a bird, I see an antelope; the physicist sees an X-ray tube, the child a complicated lamp bulb; the microscopist sees coelenterate mesoglea, his new student sees only a gooey, formless stuff. Tycho and Simplicius see a mobile sun, Kepler and Galileo see a static sun. It may be objected, �Everyone, whatever his state of knowledge will see fig. 1 as a box or cube, viewed as from above or as from below'. True; almost everyone, child, layman, physicist, will see the figure as box-like one way or another. But could such observations be made by people ignorant of the construction of box-like objects? No. This objection only shows that most of us  the blind, babies, and dimwits excluded  have learned enough to be able to see this figure as a three-dimensional box. This reveals something about the sense in which Simplicius and Galileo do see the same thing (which I have never denied): they both see a brilliant heavenly body. The schoolboy and the physicist both see that the X-ray tube will smash if dropped. Examining how observers see different things in x marks something important about their seeing the same thing when looking at x. If seeing different things involves having different knowledge and theories about x, then perhaps the sense in which they see the same thing involves their sharing knowledge and theories about x. Bragg and the baby share no knowledge of X-ray tubes. They see the same thing only in that if they are looking at x they are both having some visual experience of it. Kepler and Tycho agree on more: they see the same thing in a stronger sense. Their visual fields are organized in much the same way. Neither sees the sun about to break out in a grin, or about to crack into ice cubes. (The baby is not 'set' even against these eventualities.) Most people today see the same thing at dawn in an even stronger sense: we share much knowledge of the sun. Hence Tycho and Kepler see different things, and yet they see the same thing. That these things can be said depends on their knowledge, experience, and theories. Kepler and Tycho are to the sun as we are to fig. 4, when I see the bird and you see only the antelope. The elements of their experiences are identical; but their conceptual organization is vastly different. Can their visual fields have a different organization? Then they can see different things in the east at dawn. It is the sense in which Tycho and Kepler do not observe the same thing which must be grasped if one is to understand disagreements within microphysics. Fundamental physics is primarily a search for intelligibility  it is philosophy of matter. Only secondarily is it a search for objects and facts (though the two endeavours are as hand and glove). Microphysicists seek new modes of conceptual organization. If that can be done the finding of new entities will follow. Gold is rarely discovered by one who has not got the lay of the land. To say that Tycho and Kepler, Simplicius and Galileo, Hooke and Newton, Priestley and Lavoisier, Soddy and Einstein, De Broglie and Born, Heisenberg and Bohm all make the same observations but use them differently is too easy. It does not explain controversy in research science. Were there no sense in which they were different observations they could not be used differently. This may perplex some: that researchers sometimes do not appreciate data in the same way is a serious matter. It is important to realize, however, that sorting out differences about data, evidence, observation, may require more than simply gesturing at observable objects. It may require a comprehensive reappraisal of one�s subject matter. This may be difficult, but it should not obscure the fact that nothing less than this may do. There is a sense, then, in which seeing is a 'theory-laden' undertaking. Observation of x is shaped by prior knowledge of x. Another influence on observations rests in the language or notation used to express what we know, and without which there would be little we could recognize as knowledge. This will be examined. I do not mean to identify seeing with seeing as. Seeing an X-ray tube is not seeing a glass-and-metal object as an X-ray tube. However, seeing an antelope and seeing an object as an antelope have much in common. Something of the concept of seeing can be discerned from tracing uses of 'seeing... as...'. Wittgenstein is reluctant to concede this, but his reasons are not clear to me. On the contrary, the logic of 'seeing as' seems to illuminate the general perceptual case. Consider again the footprint in the sand. Here all the organizational features of seeing as stand out clearly, in the absence of an 'object'. One can even imagine cases where 'He sees it as a footprint' would be a way of referring to another�s apprehension of what actually is a footprint. So, while I do not identify, for example, Hamlet�s seeing of a camel in the clouds with his seeing of Yorick�s skull, there is still something to be learned about the latter from noting what is at work in the former. There is, however, a further element in seeing and observation. If the label 'seeing as' has drawn out certain features of these concepts, 'seeing that...' may bring out more. Seeing a bear in fig. 3 was to see that were the 'tree' circled we should come up behind the beast. Seeing the dawn was for Tycho and Simplicius to see that the earth's brilliant satellite was beginning its diurnal circuit around us, while for Kepler and Galileo it was to see that the earth was spinning them back into the light of our local star. Let us examine 'seeing that' in these examples. It may be the logical element which connects observing with our knowledge, and with our language. Of course there are cases where the data are confused and where we may have no clue to guide us. In microscopy one often reports sensations in a phenomenal, lustreless way: 'it is green in this light; darkened areas mark the broad end....' So too the physicist may say: 'the needle oscillates, and there is a faint streak near the neon parabola. Scintillations appear on the periphery of the cathode-scope....' To deny that these are genuine cases of seeing, even observing, would be unsound, just as is the suggestion that they are the only genuine cases of seeing. These examples are, however, overstressed. The language of shapes, colour patches, oscillations and pointer-readings is appropriate to the unsettled experimental situation, where confusion and even conceptual muddle may dominate. The observer may not know what he is seeing: he aims only to get his observations to cohere against a background of established knowledge. This seeing is the goal of observation. It is in these terms, and not in terms of 'phenomenal' seeing, that new inquiry proceeds. Every physicist forced to observe his data as in an oculist's office finds himself in a special, unusual situation. He is obliged to forget what he knows and to watch events like a child. These are non-typical cases, however spectacular they may sometimes be. First registering observations and then casting about for knowledge of them gives a simple model of how the mind and the eye fit together. The relationship between seeing and the corpus of our knowledge, however, is not a simple one. What is it to see boxes, staircases, birds, antelopes, bears, goblets, X-ray tubes? It is (at least) to have knowledge of certain sorts. (Robots and electric eyes are blind, however efficiently they react to light. Cameras cannot see.) It is to see that, were certain things done to objects before our eyes, other things would result. How should we regard a man's report that he sees x if we know him to be ignorant of all x-ish things? Precisely as we would regard a four-year-old's report that he sees a meson shower. 'Smith sees x' suggests that Smith could specify some things pertinent to x. To see an X-ray tube is at least to see that, were it dropped on stone, it would smash. To see a goblet is to see something with concave interior. We may be wrong, but not always  not even usually. Besides, deceptions proceed in terms of what is normal, ordinary. Because the world is not a cluster of conjurer's tricks, conjurers can exist. Because the logic of 'seeing that' is an intimate part of the concept of seeing we sometimes rub our eyes at illusions. 'Seeing as' and 'seeing that' are not components of seeing, as rods and bearings are parts of motors: seeing is not composite. Still, one can ask logical questions. What must have occurred, for instance, for us to describe a man as having found a collar stud, or as having seen a bacillus? Unless he had had a visual sensation and knew what a bacillus was (and looked like) we would not say that he had seen a bacillus, except in the sense in which an infant could see a bacillus. 'Seeing as' and 'seeing that', then, are not psychological components of seeing. They are logically distinguishable elements in seeing-talk, in our concept of seeing. To see fig. 1 as a transparent box, an ice-cube, or a block of glass is to see that it is six-faced, twelve-edged, eight-cornered. Its corners are solid right angles; if constructed it would be of rigid, or semi-rigid material, not of liquescent or gaseous stuff like oil, vapour or flames. It would be tangible. It would take up space in an exclusive way, being locatable here, there, but at least somewhere. Nor would it cease to exist when we blinked. Seeing it as a cube is just to see that all these things would obtain. This is knowledge: it is knowing what kind of a thing 'box' or 'cube' denotes and something about what materials can make up such an entity. 'Transparent box' or 'glass cube' would not express what was seen were any of these further considerations denied. Seeing a bird in the sky involves seeing that it will not suddenly do vertical snap rolls; and this is more than marks the retina. We could be wrong. But to see a bird, even momentarily, is to see it in all these connexions. As Wisdom would say, every perception involves an aetiology and a prognosis. Sense-datum theorists stress how we can go wrong in our observations, as when we call aeroplanes 'birds'. Thus they seek what we are right about, even in these cases. Preoccupation with this problem obscures another one, namely, that of describing what is involved when we are right about what we say we see; and after all this happens very often. His preoccupation with mistakes leads the phenomenalist to portray a world in which we are usually deceived; but the world of physics is not like that. Were a physicist in an ordinary laboratory situation to react to his visual environment with purely sense-datum responses  as does the infant or the idiot  we would think him out of his mind. We would think him not to be seeing what was around him. 'Seeing that' threads knowledge into our seeing; it saves us from re-identifying everything that meets our eye; it allows physicists to observe new data as physicists, and not as cameras. We do not ask 'What's that?' of every passing bicycle. The knowledge is there in the seeing and not an adjunct of it. (The pattern of threads is there in the cloth and not tacked on to it by ancillary operations.) We rarely catch ourselves tacking knowledge on to what meets the eye. Seeing this page as having an opposite side requires no squeezing or forcing, yet nothing optical guarantees that when you turn the sheet it will not cease to exist. This is but another way of saying that ordinary seeing is corrigible, which everybody would happily concede. The search for incorrigible seeing has sometimes led some philosophers to deny that anything less than the incorrigible is seeing at all. Seeing an object x is to see that it may behave in the ways we know x's do behave: if the object's behaviour does not accord with what we expect of x's we may be blocked from seeing it as a straightforward x any longer. Now we rarely see dolphin as fish, the earth as flat, the heavens as an inverted bowl or the sun as our satellite. '...what I perceive as the dawning of an aspect is not a property of the object, but an internal relation between it and other objects.' To see in fig. 8 an X-ray tube is to see that a photo-sensitive plate placed below it will be irradiated. It is to see that the target will get extremely hot, and as it has no water-jacket it must be made of metal with a high melting-point  molybdenum or tungsten. It is to see that at high voltages green fluorescence will appear at the anode. Could a physicist see an X-ray tube without seeing that these other things would obtain? Could one see something as an incandescent light bulb and fail to see that it is the wire filament which 'lights up' to a white heat? The answer may sometimes be 'yes', but this only indicates that different things can be meant by 'X-ray tube' and 'incandescent bulb'. Two people confronted with an x may mean different things by x. Must their saying 'I see x' mean that they see the same thing? A child could parrot 'X-ray tube', or 'Kentucky' or 'Winston', when confronted with the figure above, but he would not see that these other things followed. And this is what the physicist does see. Similarly we see fig. 1 as from underneath, as from above, or as a diagram of a rat maze or a gem-cutting project. However construed, the construing is there in the seeing. One is tempted to say 'the construing is the seeing'. The thread and its arrangement is the fabric, the sound and its composition is the music, the colour and its disposition is the painting. There are not two operations involved in my seeing fig. 1 as an ice-cube; I simply see it as an ice-cube. Analogously, the physicist sees an X-ray tube, not by first soaking up reflected light and then clamping on interpretations, but just as you see this page before you. Tycho sees the sun beginning its journey from horizon to horizon. He sees that from some celestial vantage point the sun (carrying with it the moon and planets) could he watched circling our fixed earth. Watching the sun at dawn through Tychonic spectacles would be to see it in something like this way. Kepler�s visual field, however, has a different conceptual organization. Yet a drawing of what he sees at dawn could be a drawing of exactly what Tycho saw, and could be recognized as such by Tycho. But Kepler will see the horizon dipping, or turning away, from our fixed local star. The shift from sunrise to horizon-turn is analogous to the shift-of-aspect phenomena already considered; it is occasioned by differences between what Tycho and Kepler think they know. These logical features of the concept of seeing are inextricable, and indispensable to observation in research physics. Why indispensable? That men do see in a way that permits analysis into 'seeing as' and 'seeing that' factors is one thing; 'indispensable', however, suggests that the world must be seen thus. This is a stronger claim, requiring a stronger argument. Let us put it differently: that observation in physics is not an encounter with unfamiliar and unconnected flashes, sounds and bumps, but rather a calculated meeting with these as flashes, sounds and bumps of a particular kind  this might figure in an account of what observation is. It would not secure the point that observation could not be otherwise. This latter type of argument is now required: it must establish that an alternative account would be not merely false, but absurd. To this I now turn. Fortunately, we do not see the sun and the moon as we see the points of colour and light in the oculist's office; nor does the physicist see his laboratory equipment, his desk, or his hands in the baffled way that he may view a cloud-chamber photograph or an oscillograph pattern. In most cases we could give further information about what sort of thing we see. This might be expressed in a list: for instance, that x would break if dropped, that x is hollow, and so on. To see fig. 3 as a bear on a tree is to see that further observations are possible; we can imagine the bear as viewed from the side or from behind. Indeed, seeing fig. 3 as a bear is just to have seen that these other views could all be simultaneous. It is also to see that certain observations are not possible: for example, the bear cannot be waving one paw in the air, nor be dangling one foot. This too is 'there' in the seeing. 'Is it a question of both seeing and thinking? or an amalgam of the two, as I should almost like to say?' Whatever one would like to say, there is more to seeing fig. 3 as a bear, than optics, a photochemistry or phenomenalism can explain. Notice a logical feature: 'see that' and 'seeing that' are always followed by 'sentential' clauses. The addition of but an initial capital letter and a full stop sets them up as independent sentences. One can see an ice-cube, or see a kite as a bird. One cannot see that an ice cube, nor see that a bird. Nor is this due to limitations of vision. Rather, one may see that ice-cubes can melt; that birds have 'hollow' bones. Tycho and Simplicius see that the universe is geocentric; Kepler and Galileo see that it is heliocentric. The physicist sees that anode-fluorescence will appear in an X-ray tube at high voltages. The phrases in italics are complete sentential units. Pictures and statements differ in logical type, and the steps between visual pictures and the statements of what is seen are many and intricate. Our visual consciousness is dominated by pictures; scientific knowledge, however, is primarily lingdistic. Seeing is, as I should almost like to say, an amalgam of the two  pictures and language. At the least, the concept of seeing embraces the concepts of visual sensation and of knowledge. The gap between pictures and language locates the logical function of 'seeing that'. For vision is essentially pictorial, knowledge fundamentally linguistic. Both vision and knowledge are indispensable elements in seeing; but differences between pictorial and linguistic representation may mark differences between the optical and conceptual features of seeing. This may illuminate what 'seeing that' consists in. Not all the elements of statement correspond to the elements of pictures: only someone who misunderstood the uses of language would expect otherwise. There is a 'linguistic' factor in seeing, although there is nothing linguistic about what forms in the eye, or in the mind�s eye. Unless there were this linguistic element, nothing we ever observed could have relevance for our knowledge. We could not speak of significant observations: nothing seen would make sense, and microscopy would only be a kind of kaleidoscopy. For what is it for things to make sense other than for descriptions of them to be composed of meaningful sentences? We must explore the gulf between pictures and language, between sketching and describing, drawing and reporting. Only by showing how picturing and speaking are different can one suggest how 'seeing that' may bring them together; and brought together they must be if observations are to be significant or noteworthy. Knowledge here is of what there is, as factually expressed in books, reports, and essays. How to do things is not our concern. I know how to whistle; but could I express that knowledge in language? Could I describe the taste of salt, even though I know perfectly well how salt tastes? I know how to control a parachute  much of that knowledge was imparted in lectures and drills, but an essential part of it was not imparted at all; it was 'got on the spot'. Physicists rely on 'know-how', on the 'feel' of things and the 'look' of a situation, for these control the direction of research. Such imponderables, however, rarely affect the corpus of physical truths. It is not Galileo's insight, Newton's genius and Einstein's imagination which have per se changed our knowledge of what there is: it is the true things they have said. 'Physical knowledge', therefore, will mean 'what is reportable in the texts, reports and discussions of physics.' We are concerned with savoir, not savoir faire. The 'foundation' of the language of physics, the part closest to mere sensation, is a series of statements. Statements are true or false. Pictures are not at all like statements: they are neither true nor false; retinal, cortical, or sense-datum pictures are neither true nor false. Yet what we see can determine whether statements like 'The sun is above the horizon' and 'The cube is transparent', are true or false. Our visual sensations may be 'set' by language forms; how else could they be appreciated in terms of what we know? Until they are so appreciated they do not constitute observation: they are more like the buzzing confusion of fainting or the vacant vista of aimless staring through a railway window. Knowledge of the world is not a montage of sticks, stones, colour patches and noises, but a system of propositions. Fig. 8 asserts nothing. It could be inaccurate, but it could not be a lie. This is the wedge between pictures and language. Significance, relevance  these notions depend on what we already know. Objects, events, pictures, are not intrinsically significant or relevant. If seeing were just an optical-chemical process, then nothing we saw would ever be relevant to what we know, and nothing known could have significance for what we see. Visual life would be unintelligible; intellectual life would lack a visual aspect. Man would be a blind computer harnessed to a brainless photoplate. Pictures often copy originals. All the elements of a copy, however, have the same kind of function. The lines depict elements in the original. The arrangement of the copy's elements shows the disposition of elements in the original. Copy and original are of the same logical type; you and your reflexion are of the same type. Similarly, language might copy what it describes. Consider fig. 3 alongside 'The bear is on the tree'. The picture contains a bear-element and a tree-element. If it is true to life, then in the original there is a bear and a tree. If the sentence is true of life then (just as it contains 'bear' and 'tree') the situation it describes contains a bear and a tree. The picture combines its elements, it mirrors the actual relation of the bear and the tree. the sentence likewise conjoins 'bear' and 'tree' in the schema 'The  is on the '. This verbal relation signifies the actual relation of the real bear and the real tree. Both picture and sentence are true copies: they contain nothing the original lacks, and lack nothing the original contains. The elements of the picture stand for (represent) elements of the original: so do 'bear' and 'tree'. This is more apparent when expressed symbolically as b R t, where b = bear, t = tree and R = the relation of being on. By the arrangement of their elements these copies show the arrangement in the original situation. Thus fig. 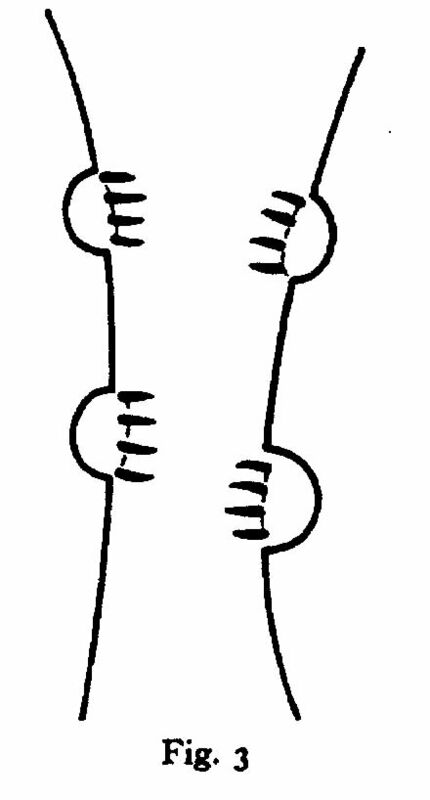 3, 'the bear is on the tree' and 'bRt' show show what obtains with the real bear and the real tree; while 'The tree is on the bear', and 'tRb', and a certain obvious cluster of lines do not show what actually obtains. The copy is of the same type as the original. We can sketch the bear's teeth, but not his growl, any more than we could see the growl of the original bear. Leonardo could draw Mona Lisa�s smile, but not her laugh. Language, however, is more versatile. Here is a dissimilarity between picturing and asserting which will grow to fracture the account once tendered by Wittgenstein, Russell and Wisdom. Language can encapsulate scenes and sounds, teeth and growls, smiles and laughs; a picture, or a gramophone, can do one or the other, but not both. Pictures and recordings stand for things by possessing certain properties of the original itself. Images, reflections, pictures and maps duplicate the spatial properties of what they image, reflect, picture or map; gramophone recordings duplicate audio-temporal properties. Sentences are not like this. They do not stand for things in virtue of possessing properties of the original; they do not stand for anything. They can state what is, or could be, the case. They can be used to make assertions, convey descriptions, supply narratives, accounts, etc., none of which depend on the possession of some property in common with what the statement is about. We need not write 'THE BEAR is bigger than ITS CUB' to show our meaning. Images, reflexions, pictures and maps in fact copy originals with different degrees of strictness. A reflexion of King's Parade does not copy in the same sense that a charcoal sketch does, and both differ from the representation of 'K.P.' on a map of Cambridge and from a town-planner's drawing. The more like a reflection a map becomes, the less useful it is as a map. Drawings are less like copies of originals than are photographs. Of a roughly sketched ursoid shape one says either 'That's a bear' or 'That's supposed to be a bear'. Similarly with maps. Of a certain dot on the map one says either 'This is Cambridge' or 'This stands for Cambridge'. Language copies least of all. There are exceptional words like 'buzz', 'tinkle' and 'toot', but they only demonstrate how conventional our languages and notations are. Nothing about 'bear' looks like a bear; nothing in the sound of 'bear' resembles a growl. That b-e-a-r can refer to bears is due to a convention which co-ordinates the word with the object. There is nothing dangerous about a red flag, yet it is a signal for danger. Of fig. 3 we might say 'There is a bear'. We would never say this of the word 'bear'. At the cinema we say 'It's a bear', or 'There's K.P.'  not 'That stands for a bear', or 'That denotes K.P.' It is words that denote; but they are rarely like what they denote. Sentences do not show, for example, bears climbing trees, but they can state that bears climb trees. Showing the sun climbing into the sky consists in representing sun and sky and arranging them appropriately. Stating that the sun is climbing into the sky consists in referring to the sun and then characterizing it as climbing into the sky. The differences between representing and referring, between arranging and characterizing  these are the differences between picturing and language-using. These differences exist undiminished between visual sense-data and basic sentences. Early logical constructionists were inattentive to the difficulties in fitting visual sense-data to basic sentences. Had they heeded the differences between pictures and maps, they might have detected greater differences still between pictures and language. One's visual awareness of a brown ursoid patch is logically just as remote from the utterance '(I am aware of a) brown, ursoid patch now', as with any of the pictures and sentences we have considered. The picture is of x; the statement is to the effect that x. The picture shows x; the statement refers to and describes x. The gap between pictures and language is not closed one millimetre by focusing on sense-data and basic sentences. The prehistory of languages need not detain us. The issue concerns differences between our languages and our pictures, and not the smallness of those differences at certain historical times. Wittgenstein is misleading about this: '...and from [hieroglyphic writing] came the alphabet without the essence of representation being lost.' This strengthened the picture theory of meaning, a truth-functional account of language and a theory of atomic sentences. But unless the essence of representation had been lost, languages could not be used in speaking the truth, telling lies, referring and characterizing. Not all elements of a sentence do the same work. All the elements of pictures, however, just represent. A picture of the dawn could be cut into small pictures, but sentences like 'The sun is on the horizon' and 'I perceive a solaroid patch now' cannot be cut into small sentences. All the elements of the picture show something; none of the elements of the sentences state anything. 'Bear!' may serve as a statement, as may 'Tree!' from the woodcutter, or 'Sun!' in eclipse-observations. But 'the', 'is' and 'on' are not likely ever to behave as statements. Pictures are of the picturable. Recordings are of the recordable. You cannot play a smile or a wink on the gramophone. But language is more versatile: we can describe odours, sounds, feels, looks, smiles and winks. This freedom makes type-mistakes possible: for example, 'They found his pituitary but not his mind', 'We surveyed his retina but could not find his sight'. Only when we are free from the natural limitations of pictures and recordings can such errors occur. They are just possible in maps; of the hammer and sickle which signifies Russia on a school map, for instance, a child might ask 'How many miles long is the sickle?'. Maps with their partially conventional characters must be read (as pictures and photographs need not be); yet they must copy. There is a corresponding gap between visual pictures and what we know. Seeing bridges this, for while seeing is at the least a 'visual copying' of objects, it is also more than that. It is a certain sort of seeing of objects: seeing that if x were done to them y would follow. This fact got lost in all the talk about knowledge arising from sense experience, memory, association and correlation. Memorizing, associating, correlating and comparing mental pictures may be undertaken ad indefinitum without one step having been taken towards scientific knowledge, that is, propositions known to be true. How long must one shuffle photographs, diagrams and sketches of antelopes before the statement 'antelopes are ungulates' springs forth? When language and notation are ignored in studies of observation, physics is represented as resting on sensation and low-grade experiment. It is described as repetitious, monotonous concatenation of spectacular sensations, and of school-laboratory experiments. But physical science is not just a systematic exposure of the senses to the world; it is also a way of thinking about the world, a way of forming conceptions. The paradigm observer is not the man who sees and reports what all normal observers see and report, but the man who sees in familiar objects what no one else has seen before. HTML last revised 18 September 2002.